Every week I receive tons of emails from women who are looking for legitimate jobs they can do from home. When I ask them about their passions, skills, and prior experience, a large percentage of these women mention their Christian faith. Because faith and religion play such an essential role in the lives of so many, it only seems fitting to explore the companies and opportunities for faith-based jobs. If you’re looking to incorporate your faith into your work-at-home job search — here are six places where you can find Christian work-at-home jobs. My initial goal when I was writing this post was to find Christian companies that hire remote workers regularly. But in my intensive research, I was only able to find a few companies. Concordia is a non-profit institution that was established by the Lutheran Church. Currently, they hire adjunct faculty to teach college courses online. Exec-u-sist is a privately held, Christian owned and operated company that hires Virtual Receptionists. Grand Canyon University is a faith-based institution that integrates a Christian worldview into their curriculum. Currently, they hire both part and full-time adjunct faculty to teach online. Northwest Christian University hires adjunct instructors to teach a variety of subjects online. Search for listings that have the keyword, online. Ohio Christian University hires remote recruiters and adjunct faculty in a variety of subjects. Look for the jobs with the keywords: remote, virtual, and online. Don’t worry; my search hasn’t ended. I will continue to scour the web and search for more Christian-based companies that offer remote gigs. As I find them I will update this list – so stay tuned. There are a TON of job board sites online, and I did find a couple of Christian-based job boards, but honestly, I was disappointed with the results. Christian Job Fair is a division of Christian Career Center. On this site, you can search under their “work from home” category for remote jobs. However, the two listings that showed up under this category were for home business opportunities. They did say they were Christian-based businesses, but they both looked like “get rich quick” schemes. If you decide to use this site, make sure to do your due diligence before applying for any jobs or opportunities. Christian Jobs is a job board that “Connects believers in the workplace.” Here you can search for jobs, as well as post your resume. They do have a “work at home” category, but the three results that popped up were weak. Two were direct sales opportunities, but they weren’t even for Christian-based companies. The third listing that showed up wasn’t a work-at-home job at all; it was for a daycare position that had the word “home” in the title. This could be a good place to submit your resume, but be careful when searching for jobs – make sure to do your research. If you’re going to use a job board for your search — I'd recommend using FlexJobs, Hire My Mom, Indeed, or Upwork. FlexJobs is a paid membership-based job board dedicated to flexible and remote work arrangements. Not only do they cater to remote, part-time, and freelance work, but they hand-screen every job posting for legitimacy, so you never have to worry about falling for a scam. They also have an excellent section for Christian employment which can be found here. Hire My Mom is a paid membership website that connects moms seeking work-from-home jobs with small businesses seeking virtual professionals. While it's not touted as a Christian resource, its Founder, Lesley Pyle is a self-proclaimed lover of Jesus. Besides running Hire My Mom, Leslie also publishes the blog, Here I Am Lord. Indeed is an aggregated job board. What this means is they pull results from all of the major job board sites, and display them in one place – so it saves you a ton of time. And because they have such a huge database you have a better chance of finding what you're looking for. Upwork is a project-based, freelance job board. To search for gigs type the keyword “Christian” into the search box. A couple of projects I found were gathering biblical texts from the internet and another for a church telemarketer. To apply for gigs on Upwork, create a profile, bid on projects, and wait for your bid to be accepted. Once the work is complete, you’ll get paid securely through the Upwork platform. While not a job per se, direct sales is a money making opportunity that you can do from home. For a minimal fee, direct sales companies will give you a starter kit that includes everything you need to get started. From here you’ll follow their detailed guide on how to sell products; usually, this is done through in-home parties or catalog sales. For each sale you make, you’ll earn a commission. The nice thing about the direct sales industry is there are quite a few Christian-based companies. Christian Bling sells faith-inspired jewelry, accessories, and gifts. Consultants can earn 20% – 29% commission on individual sales and additional percentages on team sales. Crowned Free is a Christian-based direct sales company whose mission is to raise awareness and empower women who have been rescued from human trafficking. The company sells jewelry, clothing, home decor, and accessories. With this opportunity, consultants earn 20% – 30% commission on sales. F.A.I.T.H. which stands for Fashion Accessories In The Home sells faith-inspired jewelry. With this opportunity, you pay a small startup fee, and in return, you earn free jewelry credits. Sadly, you won’t make any money with this opportunity, but if you LOVE free jewelry, it may be worth looking into. Grace & Heart is a direct sales company that sells faith-inspired jewelry. There’s not a lot of information on their website about the opportunity, so you would need to contact them if you’re interested in joining the team. Gracewear is a Christian-inspired direct sales company that sells jewelry, baseball caps, flip flops, ponchos, purses, and accessories. I wasn't able to find information on how much consultants earn with this opportunity, so you would need to request more info if you're interested. Initial Outfitters is a Christian-inspired direct sales company that sells personalized totes, bags, jewelry, and gifts. Consultants can earn 20% – 35% on personal sales, as well as additional percentages on team sales. Martha and Mary is a Christian-inspired direct sales company that offers a unique blend of business and ministry, selling home decor, jewelry, kitchen and tableware, and gift items. Consultants can earn 25% – 40% commission on sales, plus additional percentages for building a team. Premier Designs is a Christian-inspired direct sales company that sells a wide variety of jewelry. Consultants can earn 50% commission on sales, and another 10% commission on team sales in your first three levels. Thirty-One is a Christian-inspired company that sells personalized bags, totes, purses, jewelry, accessories, baskets, and wallets. Consultants can earn 25% commission, plus bonuses. Sing n' Sprout is a Christian-based music and movement program. With this business-in-a-box opportunity, you'll be equipped with all the tools to teach Christian music and movement classes to families and children. You can sign up to be an independent Sing n' Sprout teacher for a base fee of $140 with a monthly recurring fee of $5.95. Obviously, I’m a huge advocate for starting your own blog. But let me tell you why blogging is such a great home business to start. 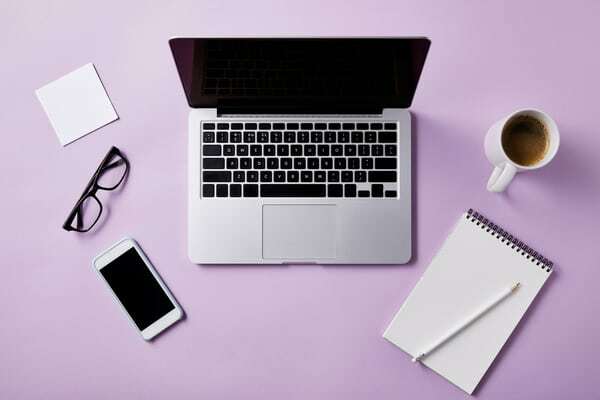 It builds a business platform for other opportunities like freelance writing, coaching, speaking, social media management, or direct selling. Opens doors to new people and opportunities. It's completely flexible – you're not stuck to a set schedule. Starting your own blog is easy and affordable. However, it is not a get rich quick career. But with this being said, I have interviewed women that have made six figures within their first year of blogging. Looking for Christian brands and affiliates to work with? Of course, you can contact the direct sales companies listed above, but here are a few more options for you to consider. As a freelance writer, you will research, write, and edit written pieces for clients. Now, you may be thinking that you need an English degree to be a writer, but the truth is, anyone who enjoys writing can do it professionally. The types of projects that you take on will vary on your prior knowledge, skill set, experience, and interests. The best piece of advice for anyone who wants to be a freelance writer … Keep writing! The more you write, the better and faster you’ll get. Also make sure you’re investing in your professional development by reading and participating in courses, webinars, and training. Here are a few Christian freelance courses and books that can help you on your journey. 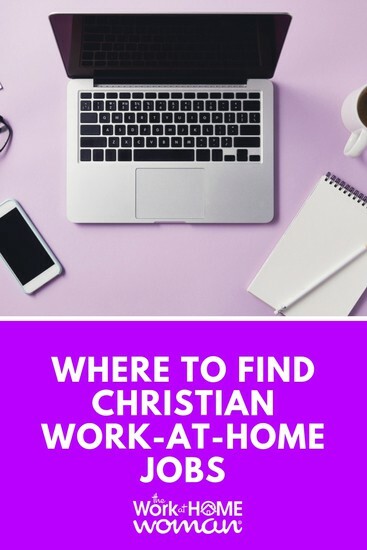 While this list is nowhere near complete, it will give you a good place to start on your Christian work-at-home job search. If you know of a Christian work-at-home job, opportunity, or direct sales company, let me know, and I’ll add them to the list. Originally published October 7, 2015. Content updated April 3, 2019. This page includes affiliate links. Please be aware we only promote advertising from companies we can legitimately recommend to our readers. Please see our disclosure policy for further information. Niche blogging does appear to be a great way to earn an income from home. http://arabahjoy.com is an example of a Christian blog that has exploded over the last few years and generates a great income. I believe it does require much patience. I’m also currently growing my blog: https://knowingthetime.com. Yes, I know Arabah, she’s awesome! Blogging does require patience, persistence, and perseverance, but it can be an excellent way to work-from-home! If you have more specific questions, let me know, I’ll be happy to help. HI, I am a single father, baby is six months now, I am looking for some online typing, text converting, writing job, which can pay me good, please help me, I am from India a believer in Christ. Total work experience : 8 Years. The Work at Home Woman’s job leads are geared for U.S. residents. Upwork.com is another great site to search. can men also be a part of the same opps as we all share the same needs? Yes, the information is applicable to both women and men. I am with Mary and Martha and love what this company stands for and the encouraging group of women I am a part of. Would love to share the company with someone looking for at home business which gives them the opportunity to share Christ. Thanks for putting this list together! One you are missing is Trades Of Hope!! We buy and sell women’s handmade items from all around the world paying them a fair and sustainable wage. We are Fair Trade Certified and mission based. With Trades Of Hope, I have come back to God and am finding great purpose in this work! Bringing women out of trafficking, sweat shops, and poverty!! I would love to chat with anyone who is interested! Thanks for sharing, Megan! I’ll have to update the list. I am with a company called Mary and Martha that was founded by DaySpring and Hallmark. It is inspirational home decor with cards and Bible study guides. It is Christian based where you do it on your own schedule. I would love to share this company with you. It is a beautiful way to Share Christ while ministering to those you are hosting gatherings with. Please checkout https://christianremote.com/ for Christian remote jobs! Praise the Lord God almighty so glad to have find you .